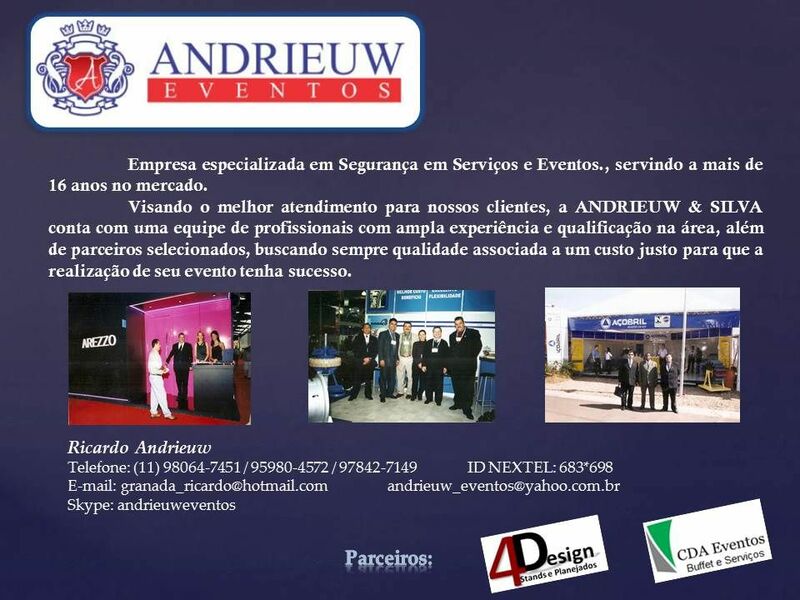 ANDRIEUW & SILVA, a the biggest and best companies of services across the Brazil BRAZIL with more than 10 years in the market of services and events. She was born with the challenge of modernising and optimize the realization of events and services, adapting them to the needs and market developments. 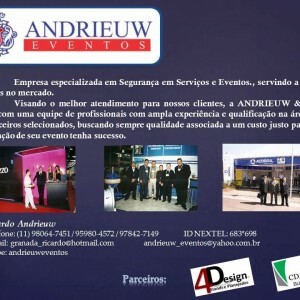 This translates the effectiveness and success of services and events already conducted by ANDRIEUW SILVA. For both, the ANDRIEUW SILVA has a team of professionals with extensive experience and qualification in the area, in addition to selected partners, seeking always quality associated with a fair cost for the realization of their service or event is successful. Therefore, the company follows the latest news from the market, and always in tune. Give us the opportunity to show our services so that we can establish a lasting and solid partnership.
.:: Support services Parking lot Cleaning and maintenance Conservation. No give your event to "companies" fictitious and adventurous, hire a competent and serious company with origin and reference. Note: values subject to change in case of end-of-year commemorative dates and or with (combination) agreement of both parties. The acceptance of any proposal or counterproposal and everything that is in accordance with both parties will be signed in contract. Since already thank you for the possibility of We are providing our services at your event.